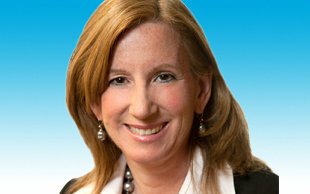 As CEO of the largest professional-services firm in the country, Cathy Engelbert oversees more than 65,000 employees in the U.S. and India. The first female CEO in Big Four accounting history, Engelbert joined Deloitte in 1986 and was quickly pegged as an achiever. She credits much of her success to mentors who encouraged her to take risks. “The best piece of mentoring advice I ever had was not to be scared to do differing things, to move out of your comfort zone,” she told DiversityInc. Prior to her appointment as CEO, Engelbert served as Chairman and CEO of Deloitte’s Audit subsidiary. She has held numerous senior-leadership positions at the firm, including National Managing Partner Regions for Deloitte & Touche; Deputy National Professional Practice Director; and Financial Accounting and Reporting Services Quality Risk Manager. She was named a Partner in 1998. As the mother of two teenagers, Engelbert takes pride in achieving work-balance, attending her kids’ sports events despite her rigorous schedule. She also enjoys mentoring senior managers, particularly women with families. Engelbert is a member of the Financial Accounting Standards Advisory Council and has served on Deloitte’s board of directors, the Deloitte LLP Nominating Committee and Deloitte’s Board Council. She is a recipient of the YWCA Tribute to Women in Industry Award. She earned a bachelor’s degree in accounting from Lehigh University, where she now sits on the Accounting Advisory Board. Engelbert is a certified public accountant in Pennsylvania, New York and New Jersey.